The school follows the British Academic system and implements relevant innovations in teaching techniques, assessment and methodology, as appropriate. Any pupil should be able to transfer directly to any independent or state school in Britain without undue difficulty, should the need arise. The following is a guide to how your child may progress through the school. 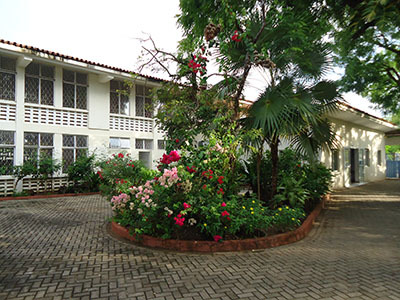 The Mombasa Academy is a private day school for boys and girls between the ages of 3 and 18. The school comprises three departments: Junior School, Preparatory School, and Secondary School, all housed on the same campus, sharing facilities and, to a considerable extent, staff expertise. This helps to unite the many nationalities represented in the school in a family atmosphere of disciplined friendliness while giving scope for the energies and the talents of each age group.